Because of the new rule that involves the use a modified Sports Technology process, we had ourselves a game at halftime with the score 20-7, rather than 20-0, which is something ESPN would have hated since they paid billions for this sports business contract. Walt Disney Co.’s ESPN signed a new contract to keep its MNF rights, for an average of $1.9 billion compared to $1.1 billion per season. “These agreements underscore the NFL’s unique commitment to broadcast ” said NFL Commissioner Roger Goodall. The Broncos and Falcons MNF rating of 11.6 included 15.5 million viewers. In Denver, the game delivered an 18.9 rating on ESPN and a 21.4 rating on KTVD-IND, for a combined 40.3 market win. In Atlanta, the game saw a 12.5 rating on ESPN and a 16.3 rating on WSB-ABC, for a combined 28.8 in the market. That is a lot of eyeballs glued to MNF via one device or another. Through the first two weeks of the NFL season (three games), ESPN’s MNF is averaging a 9.3 rating (8.1US), 9,138,000 households and 12,410,000 viewers, almost the same as last season. As you can see, the replacement refs have no bearing on the viewer numbers so the Commish can afford to play hardball with the lockouts. The Commish needs to keep the owners and networks happy, the officials and fans, not so much. I am not clear why challenges are even needed when the technology is there to assist any NFL ref with making a correct call. However, because the NFL is progressive and tried to improve the replay rules from last season, they got the call right in the end last eve. Well done, NFL. Would a veteran official have made the right call that this replacement official missed? Maybe but that does not matter, the tech in place made sure the human element, replacement ref or not, was backed up. The sticky question that still remains is this, if that play would have happened at the 2:01 mark and Denver was out of challenges, what then? The NFL would have had another mess to deal like the 2012 replacement ref nightmare has become. This video link is from AP on Youtube and is an interview recorded today of NFL fans in New York responding with their own opinions about the replacement ref situation. NFL Fans Weigh in on Replacement Referees: http://youtu.be/IbemUXXK7XM. I especially connected with the fans perspective in terms of tech references. One play does not make a game but making the correct calls in a billion dollar sports business with the assistance of video analysis is a no brainer, every time. The amount of time it takes is irrelevant. On average, an NFL game is three hours long, with 11 minutes of action. You read that right, 11 minutes of real action is all it is. Fans all wait week to week for our beloved 32 NFL teams to prepare for sixteen regular season wins, and then the playoffs, and finally a Super Bowl game and winning trophy. 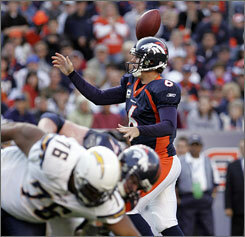 Many a Sports Techie plays fantasy football and we are not fond of replacement refs either. 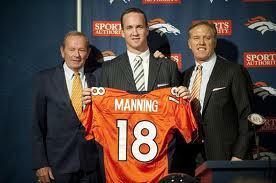 NFL game planning should not involve creating strategy for the third team, the replacement refs in this instance. 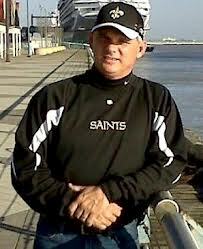 Sports Techie, welcome my brother Rick Roble to the guest Sports Techie blog roll. He is @eltiebron on Twitter at: http://twitter.com/eltiebron. “Ed Hochuli who I know is a horrible official is I’m sure a great guy. Here is a timeline for his de butchery. I don’t get the lack of fan outrage about this. But I am hearing the venom about Replacement Officials, who are doing everybody a favor by putting themselves in a no-win position because Roger GODell has shown them ZERO public support through all of this. Are NFL replacement refs any better or worse than Ed Hochuli? Week 2 2008 Football Season Ed Hochuli blows a call that would have given the Charges the win and it keeps Denver in the game. The NFL says that his rating will be effected and he is crushed. I am sure he is we are all human and nobody likes to admit they made a mistake or they were wrong. We forgive him for his error. Thank you for your Sports Techie opinion, Ricky Roble. Sports Techie, Steve Young said it best last night on the MNF post-game ESPN show when he claimed, “The NFL does not care.” If the NFL did care, this would be a none issue because their trained officials would be on the field for week three. The NFL does not care because they are not publicly backing up these replacement officials week two, like they did week one, and you can most likely expect it will be less in week three. NFL, why not create a new Officials Academy (NFLOA) that is completely Sports Techie and make this a full-time job, complete with more pay, your marvelous pension plan, and all the league perks because that is what billion dollar companies do. Every NFLOA trained official that graduates will have had to pass strict NFL background checks. In other words, you would not see any last minute referee substitution as happened before the Saints and Panthers game this past weekend because the replacement ref was wearing Saints swag in his Facebook post and that might indict an allegiance to New Orleans. Social media is prosecutable, Sports Techie. For better or for worse, the NFL does try to get it right using Sports Technology and for that we love them. The NFL Sports Technology innovation and implementation is on a good path. Bravo to the NFL for tweaking their Challenge system enough to enable another HOF touchdown pass by Peyton Manning to happen, like it was suppose to, replacement officials aside. Commissioner Goodell, please come to terms yesterday with your REAL refs and spend some cash, it is good for the economy. Thanks again to our guest blogger, Rick Roble.